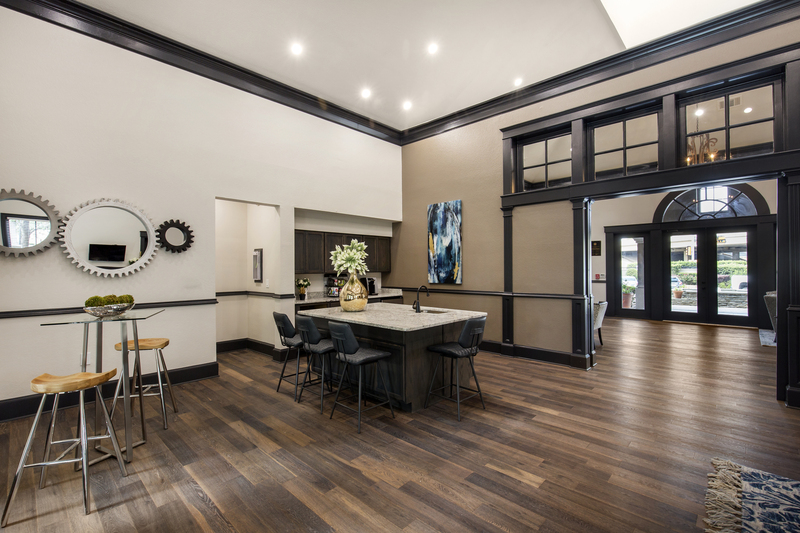 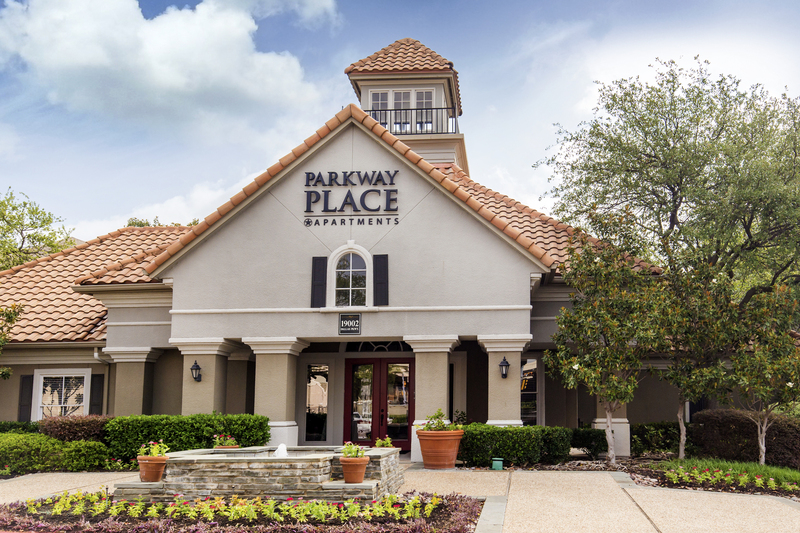 Parkway Place, a pet-friendly community in Far North Dallas, TX, welcomes you home with charming floor plans and premium amenities. 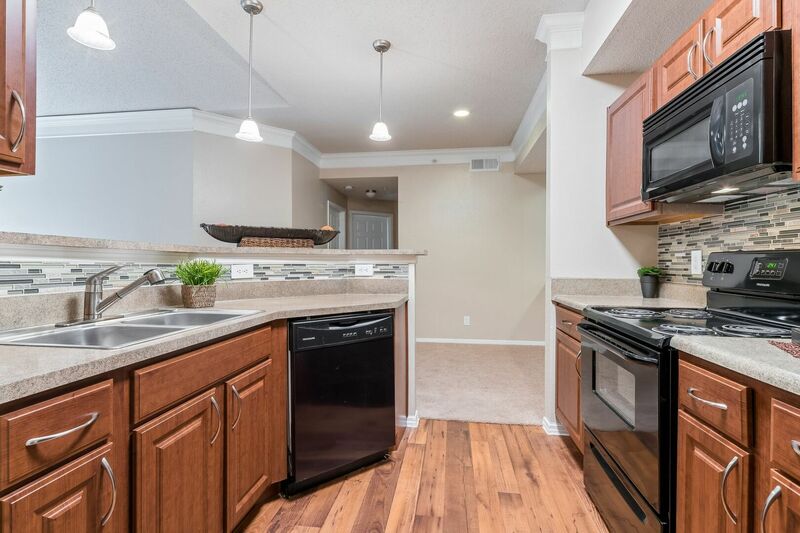 Browse the photo gallery for a closer look at the expansive apartments and state-of-the-art offerings. 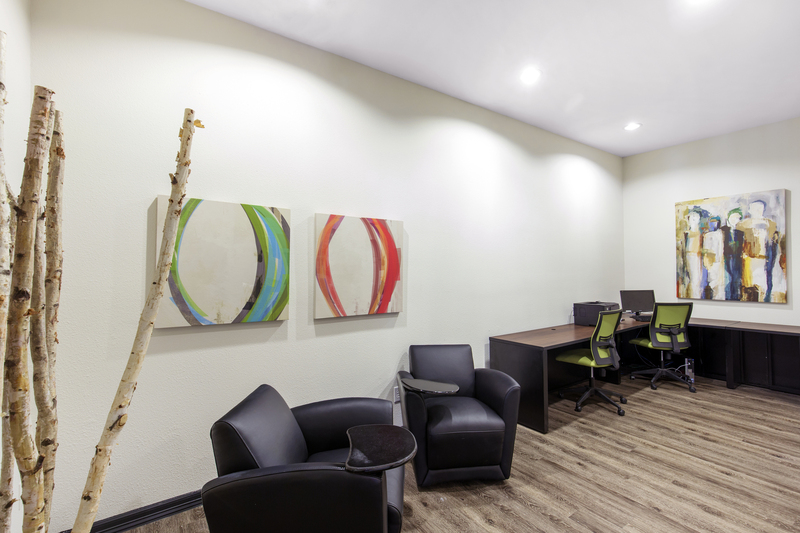 Business Center – Residents can connect to high-speed Wi-Fi throughout the resident clubhouse. 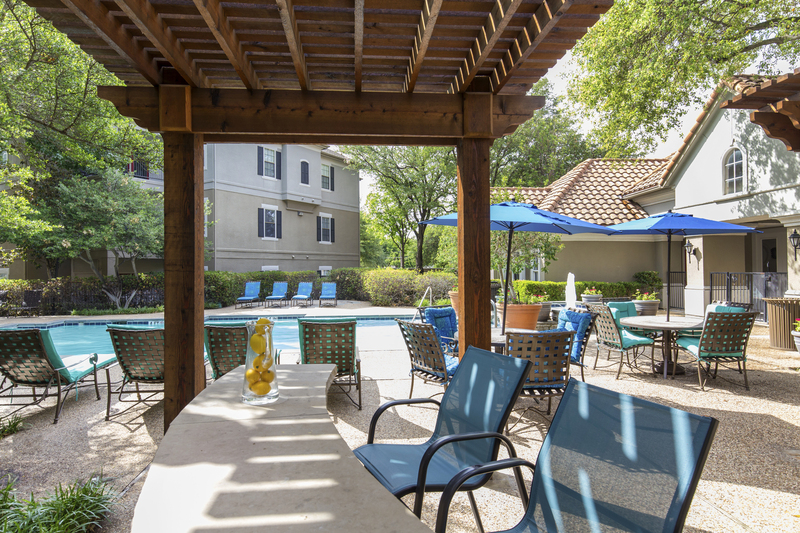 Clubhouse – The clubhouse offers indoor entertainment with a cyber café, a community kitchen and more. 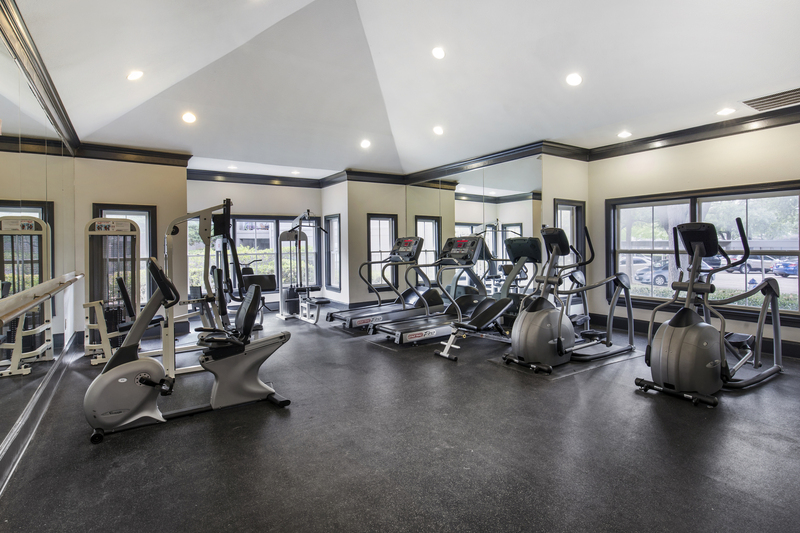 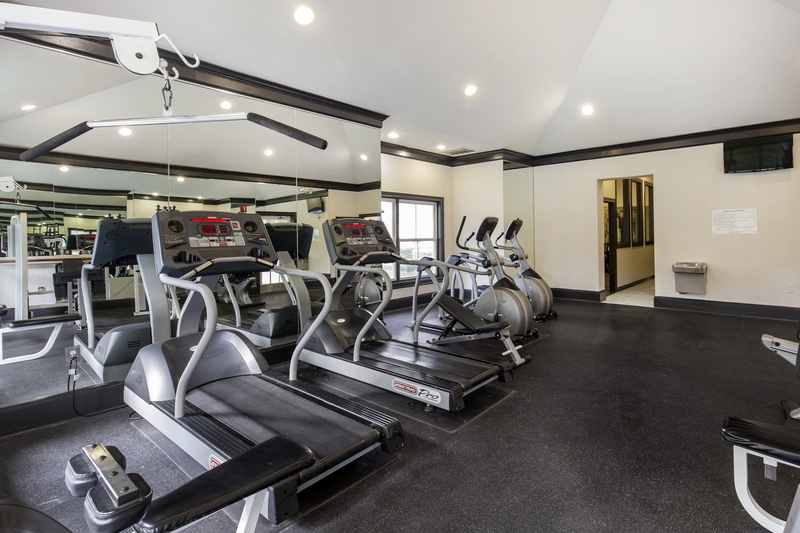 Fitness Center – Equipped with the latest technology for cardio and strength training, the fitness center keeps residents active. 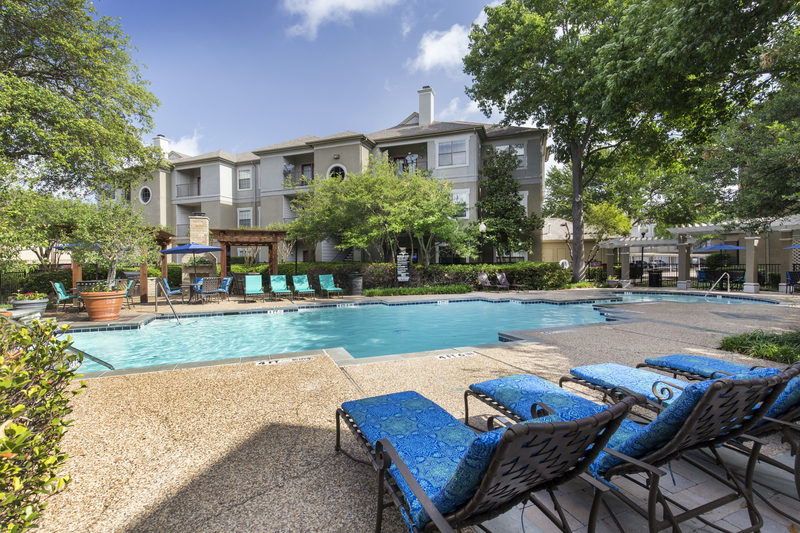 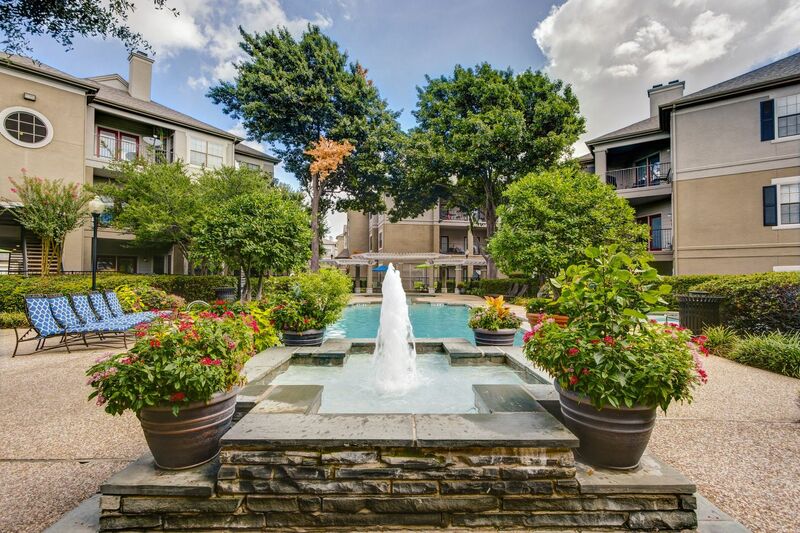 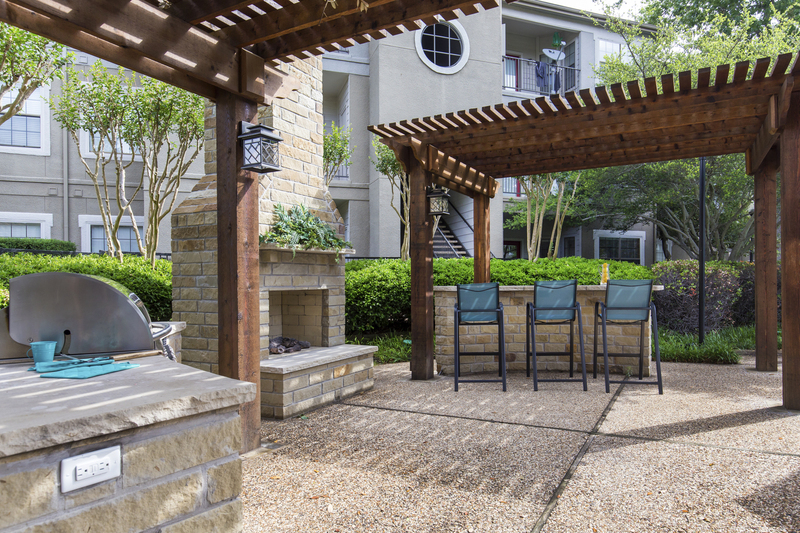 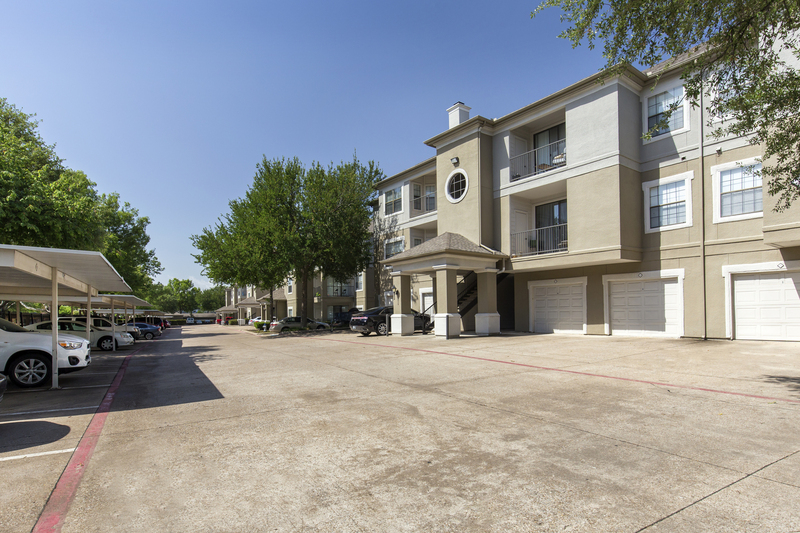 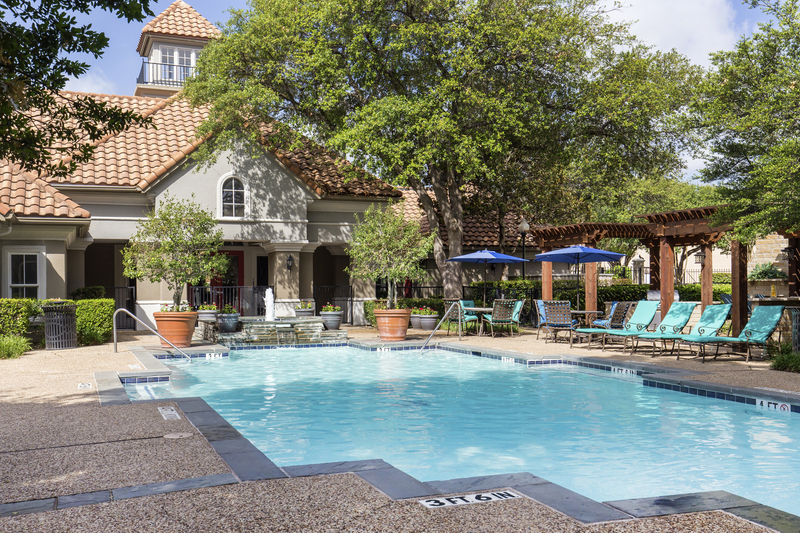 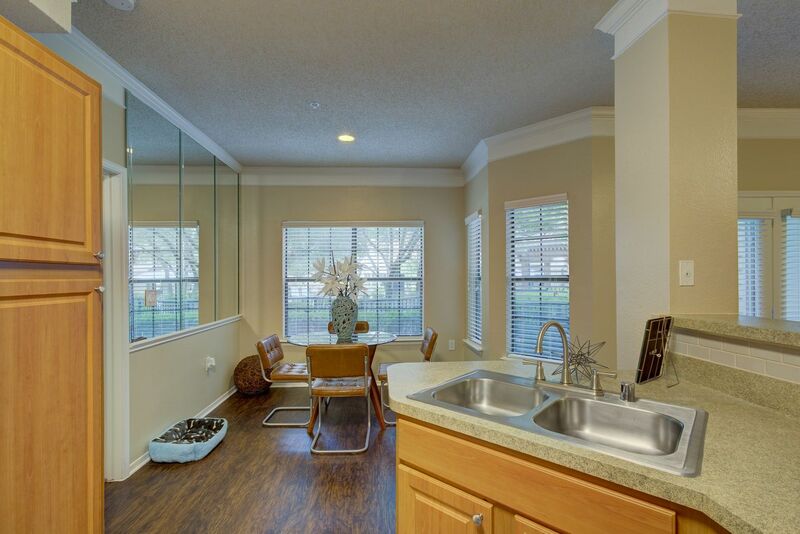 Leasing Office – Located on Dallas Parkway, the pet-friendly community offers a convenient location near George Bush Turnpike. 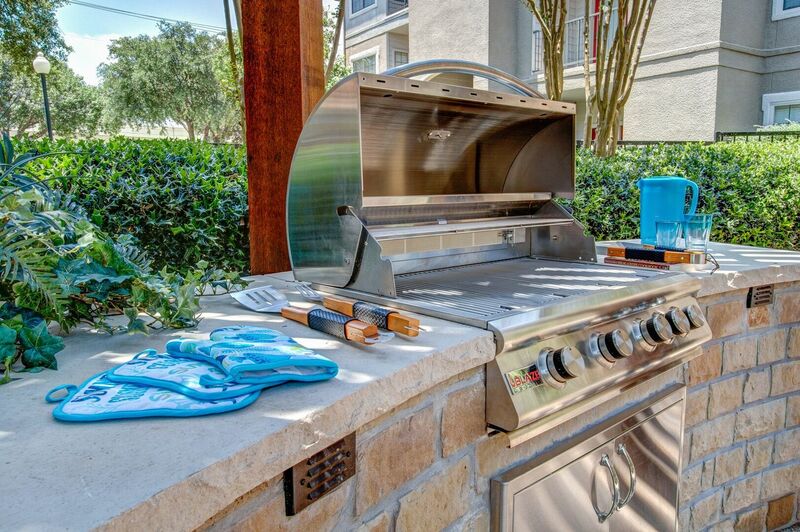 Outdoor Kitchen – Entertain guests at the outdoor kitchen, complete with a stainless steel grilling station. 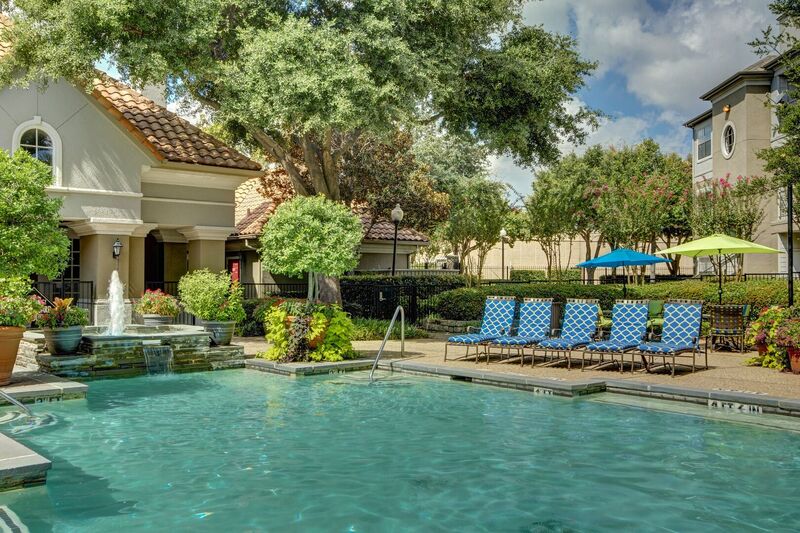 Pool – Challenge neighbors to a game of water volleyball with two resort-style pools. 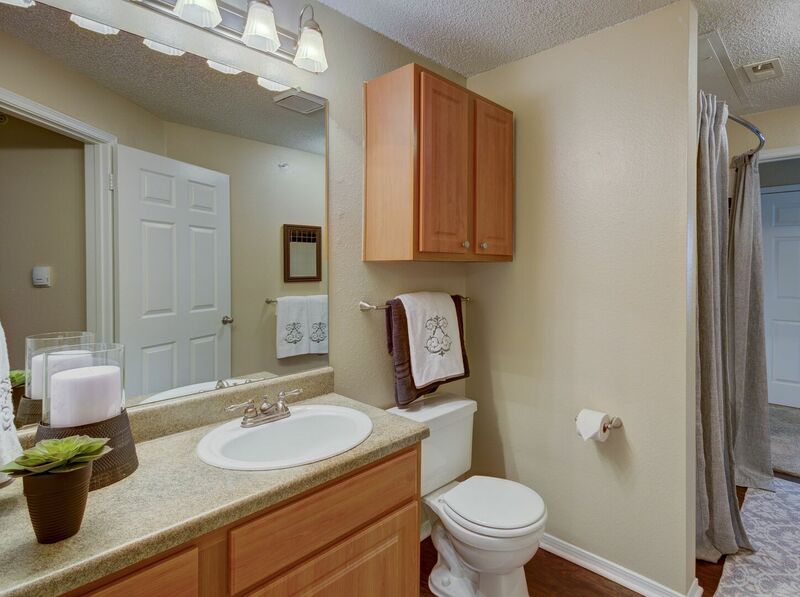 Bathroom – Bathrooms feature elegant details, such as granite-topped vanities and large garden tubs. 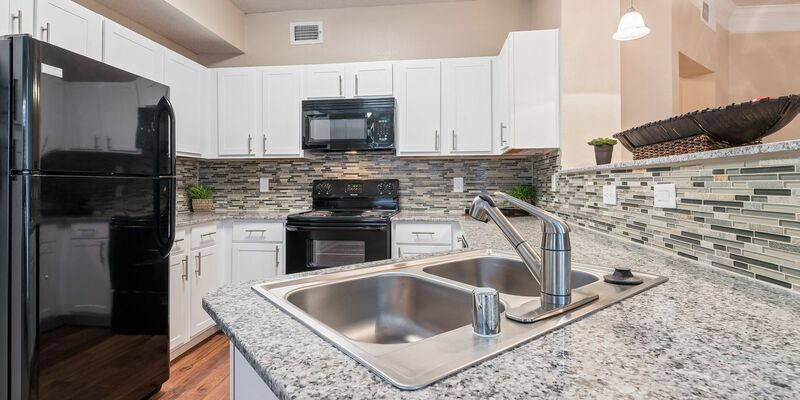 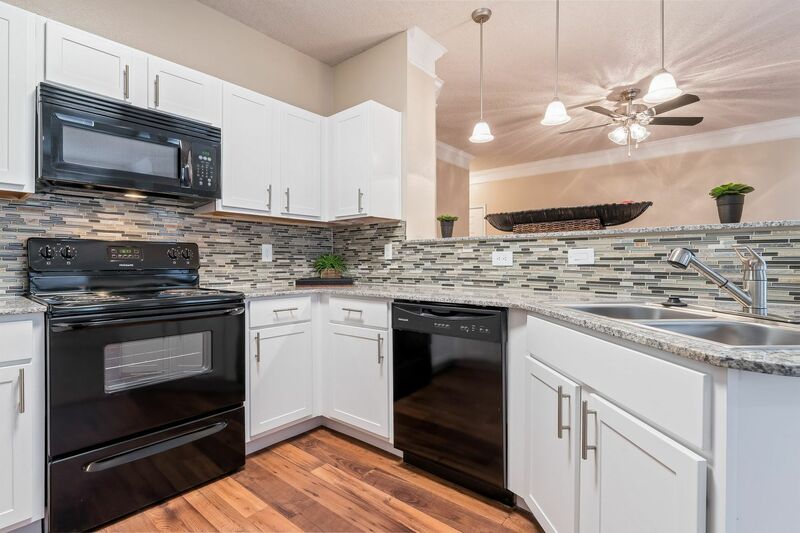 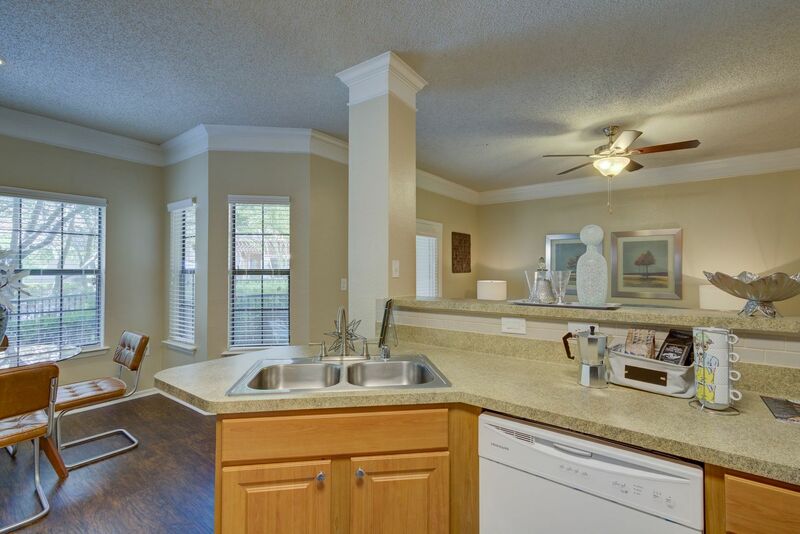 Kitchen – Upgraded kitchens come with new appliances, granite countertops and custom cabinetry with brushed nickel hardware. 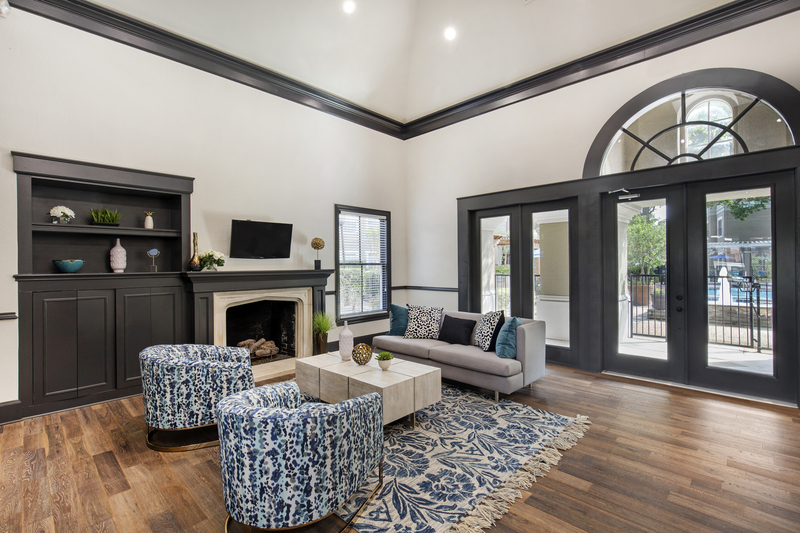 Living Room – Living rooms lead to private patios overlooking the community. 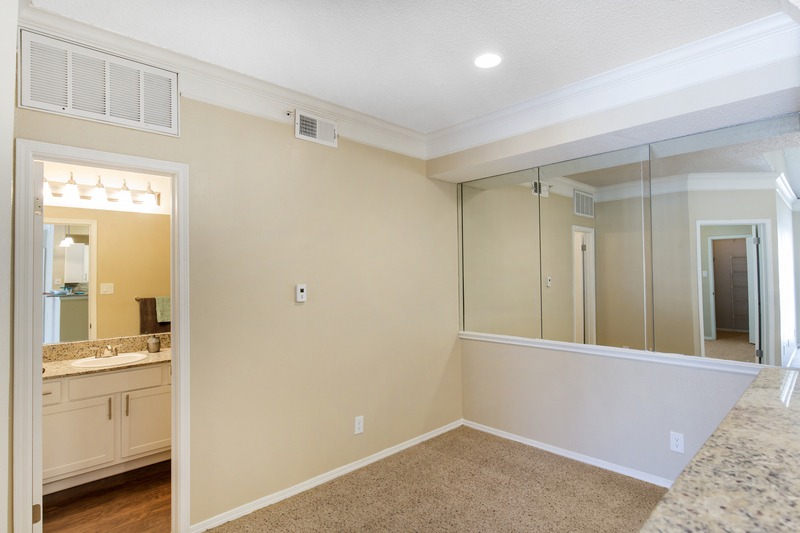 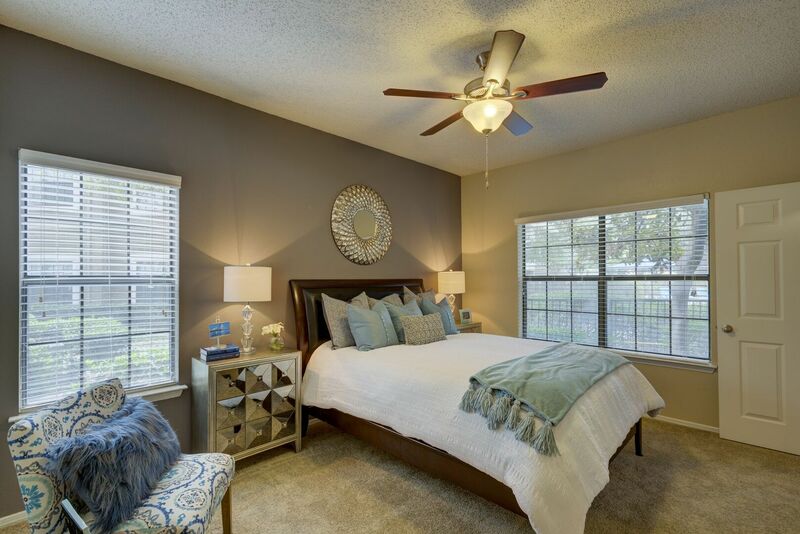 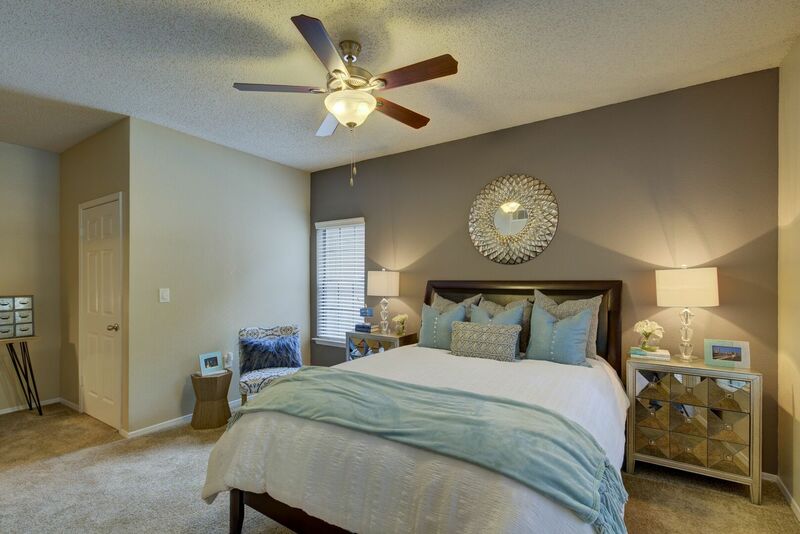 Bedroom – Each bedroom comes designed with a walk-in closet for your convenience. 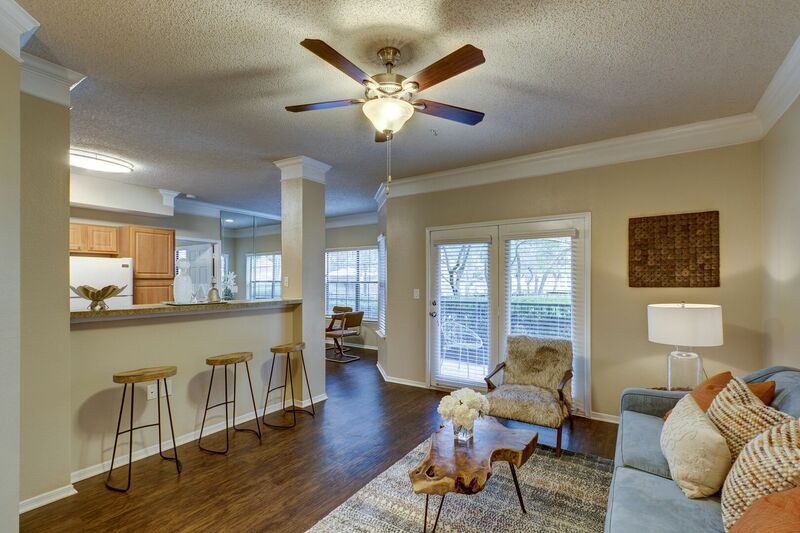 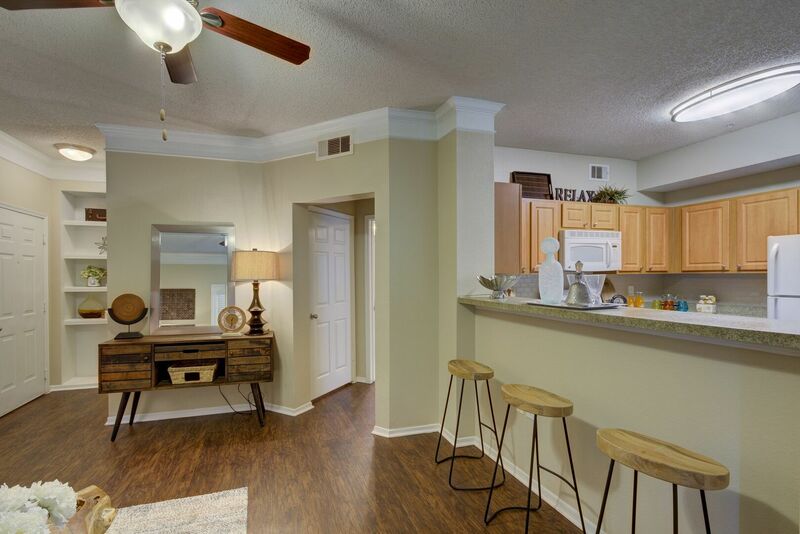 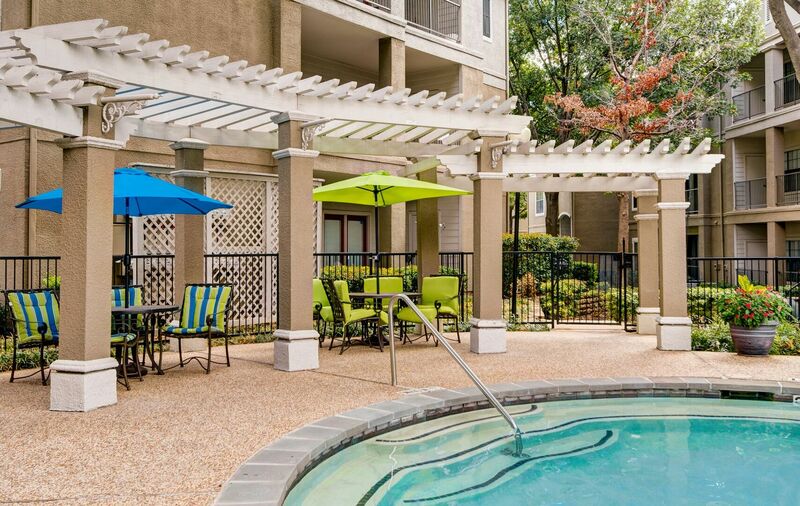 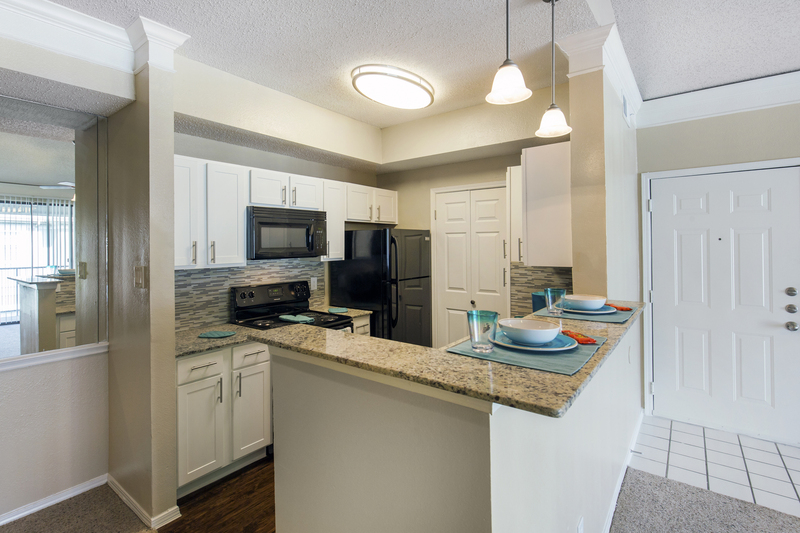 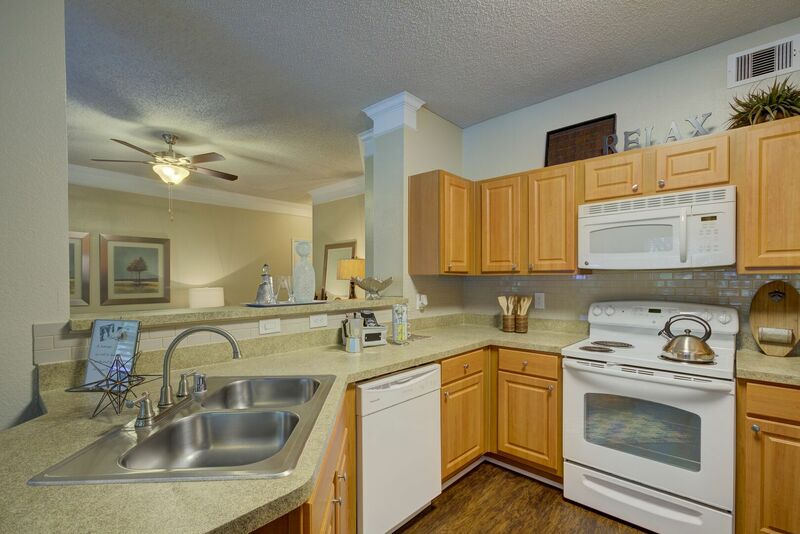 Schedule a tour of Parkway Place when you contact the leasing office!